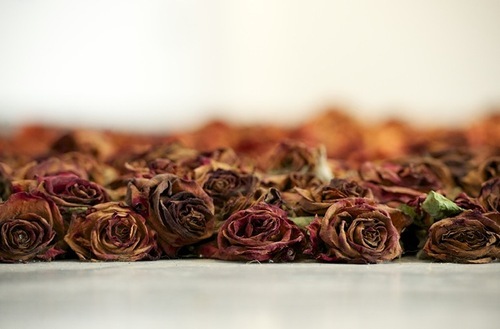 London based Scottish artist Anya Gallaccio has made an installation of 10,000 beautiful Holland roses, trees, flowers, candles, sand, and ice to explore the process of natural decay. 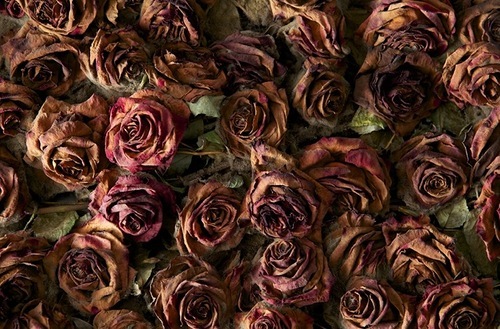 According to the artist, she likes the mixture of celebration with death or decay. Her work is featured in numerous public and private collections, such as the Tate Gallery, the Victoria and Albert Museum, South Gallery in London, and the Museum of Contemporary Art in Sydney. 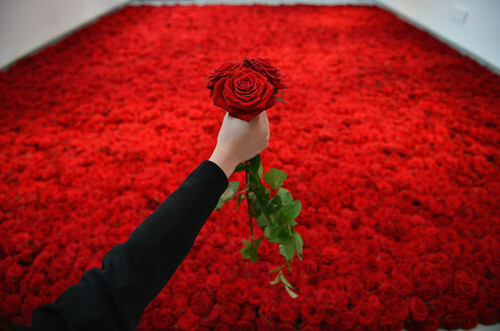 Anya Gallaccio was a nominee in the 2003 Turner Prize. Among other works of the artist – Stroke (1993) in which she covered benches in the gallery and cardboard panels attached to the walls with chocolate. 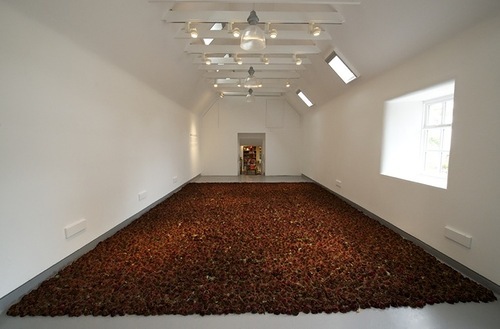 In addition, “Two Hundred Kilos of Apples Tied to a Barren Apple Tree”, and Atelier Amden in Switzerland (1999). 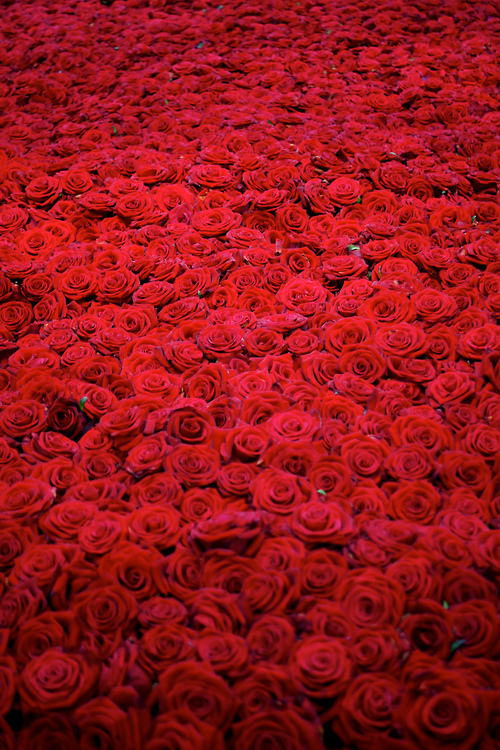 One of her installations, called “Because Nothing has Changed” (2000) represents a bronze sculpture of a tree adorned with porcelain apples. Besides, another installation “Because I Could Not Stop” (2002) is a similar bronze tree but with real apples which are left to rot. 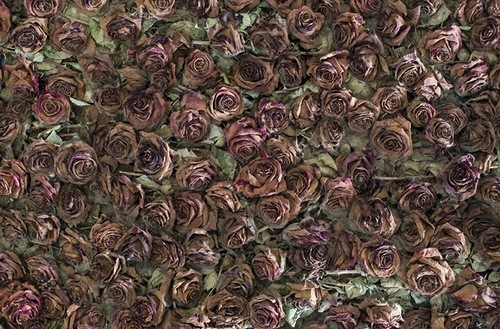 Anya Gallaccio uses organic materials, among them – fruit, vegetables and flowers, which undergo a change before being exhibited. 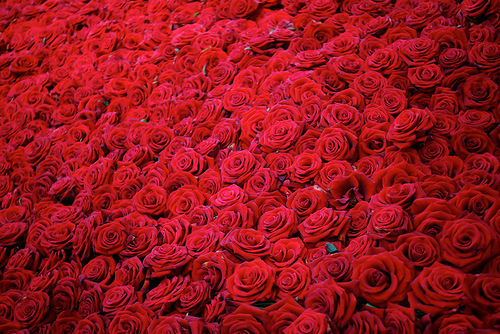 In Red on Green (1992), ten thousand rose heads placed on a bed of their stalks gradually withered as the exhibition went on. For Intensities and Surfaces (1996) Gallaccio left a thirty two ton block of ice with a salt core in the disused pump station at Wapping and allowed it to melt.